Chinese funerals in Malaysia are very expensive and now getting a little commercialized. 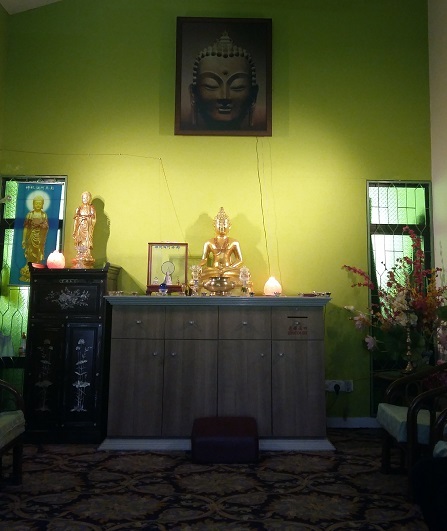 For Buddhist, I want to introduce to you a more affordable option at the end of this article so that you need not go through what I have gone through. It is a taboo subject but it still need to be written…in fact it is something I wanted to write for quite sometime. Please do not proceed if you are not comfortable reading about this subject. My dad had passed away from stroke suddenly not long after I graduated and came out to work. We were totally unprepared for it and we went along with whatever option that was available for Chinese then which was Chinese taoist funeral. The funeral expenses took up more than RM10k (and that was more than 10 years ago) and basically there were lots of hidden add-ons which eventually inflated the final price. But we were too dazed and shocked and mostly said yes to whatever the funeral organizer suggested. I felt that they were capitalizing on fears and filial piety to suggest various procedures which all came with add-on costs. There were many ceremonies such chanting and crossing the bridge, as well as leaving my house gate wide open at night. There were also a lot of pantang larang (taboos) on matters that we do not understand why. While I do not want to question about custom and tradition, the after effect of the funeral left me feeling more sad and miserable. And no money to pay for the cost. Fortunately, my aunties (my dad’s sisters) helped me to pay first and covered some of the cost. Even till this day, my dad’s passing have a profound impact on me. It has prompted me to research on more articles about preventive measures to illness and also mind body connection which I addressed in my Health Blog. It changed me overnight from a totally egoistical and ambitious person into someone who search out for answers in life and to find better meaning in work (to be in a job that helps others at the same time getting paid for it). What I can say is I came to realize years later that the elaborate procedures and high cost did not help my dad to ‘cross over’. In other faith such as Islam, Christian and Hindu, the cost of funeral is affordable. There is also a strong support system within these religious organizations that help to offer advise and spiritual support. I remember attending the Christian funeral of a friend who had passed away from cancer. The environment was not sad and depressing, in fact, the group got together to sing praises and friends/relatives came out to give their eulogy of how this wonderful lady had touched their lives. At the back of my mind, I had wanted a Buddhist funeral but during that time, it was difficult to find a pure Buddhist funeral arrangement. That time, even if you are affiliated with Buddhist societies, no one really know how to put together a Buddhist funeral. Also Nirvana that time was just starting out. Nowadays, if the family can afford it, they can engage funeral services offered by Nirvana and Xiao En who have funeral directors who are real professionals- who know what they are doing and will not make everyone feel down. The funeral would be well run and generally it would not be depressing for those who are attending it. I have attended a relative’s funeral, who also passed away from cancer and was surprised that it was not depressing. My friend told me that now they can plan ahead and even pay for the entire packages in advance (known as pre planning) via monthly interest free installments (EPP). 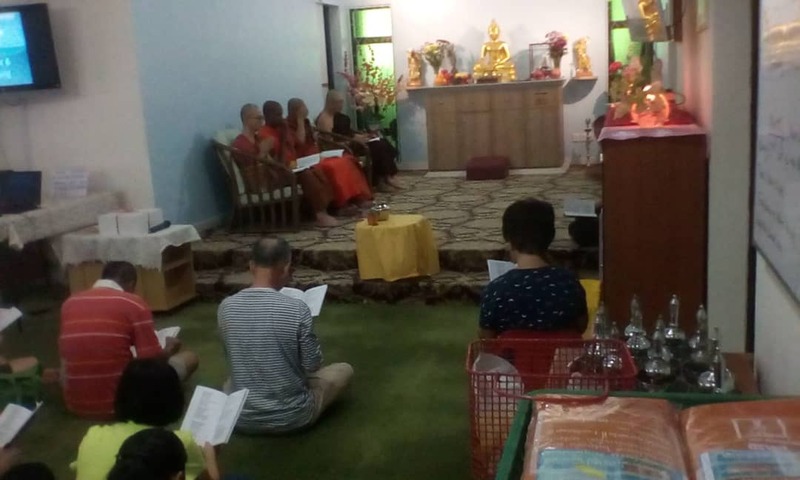 About a year or so after my dad’s pasing, I started to hear about Malaysian Buddhist Coorperative Society (MBCS) who is founded on the basis to provide affordable Buddhist funerals to families. They have started from an initial premise in SEA Park before moving to their current location in SS3. Recently, I am reconnected to MBCS via my mom’s long time friend who is an active member there. I have checked out about their services and pricing and it seems quite reasonable. They would also offer good advice on how to react or handle an unfortunate loss of a loved one based on Buddhist practices. One of the thing is that if a loved one is to pass away in a hospital, the distraught family members may encounter people crawling out from the woodwork to approach them with various ‘funeral packages’. If you do not wish to engage their services, do NOT hand over the NRIC of the deceased as there have been cases that the final price is way higher than the initial quoted price and that they refused to hand over the NRIC of the deceased back to the family. For MBCS, if prior arrangements have been made with them, upon passing away of the family member, whether at home or in the hospital, you would call their person in charge and then they would advise what needs to be done. Their hope is not for the distraught family members to be worried or have to run around making police report, buying the items (casket, prayer items) but instead to be able to have a better peace of mind to do the final rites. Even though death is a taboo subject…. but it helps to make the arrangements as early as possible for cases where it is not sudden demise. My graundaunt actually had her own funeral clothes made more than 10 years before she passed away when I was 9 years old. They have person in charge both in the central, northern and southern regions of Peninsular Malaysia. 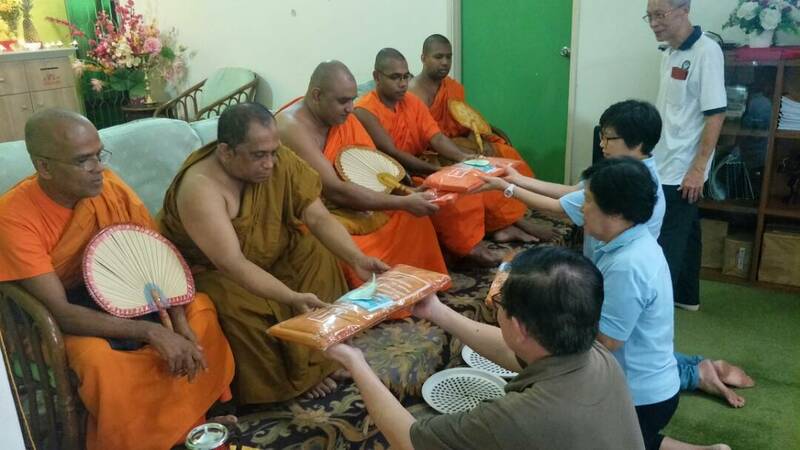 Participants can bring their own food (preferably vegetarian) and offer to invited monks. This is followed by transferance of mertis of loved ones.